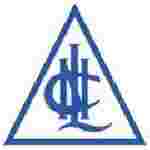 NLC recruitment 2018 notification has been released on official website www.nlcindia.com for the recruitment of total 460 (four hundred and sixty) jobs out of which 210 (two hundred and ten) vacancies for Graduate Apprentices, 250 (two hundred and fifty) for Apprenticeship Trainees vacancies. Job seekers should apply from 27th December 2017 and before 05th January 2018. Here on this page you will get the details like the Name of vacancies released by NLC with exact number of posts. Some other criteria like Education details, application fee and way to apply application for NLC recruitment 2018. Educational Qualification: Degree in Engineering in the respective Discipline with 55% marks (50% for SC/ST) for S.no-1. Diploma in Engineering in the respective Discipline with 55% marks (50% for SC/ST) for S.no – 2. Interested and eligible aspirants should apply online through the website www.nlcindia.com from 27.12.2017 to 05.01.2018 and printout of Online Application along with self-attested copies of certificates & documents send to The Deputy General Manager, Learning & Development Centre, N.L.C India Limited Block:20, Neyveli – 607 803 on or before 10.01.2018.